</p align=”justify”>It’s like the original Haven, but new and improved. The Haven 2.0 still give you the best of both worlds; an open floor plan with an eat-in-kitchen and a separate dining for more formal family gatherings. The kitchen opens to the large great room, allows for conversation to flow freely between the two ‘rooms’ and makes this space ideal for entertaining. 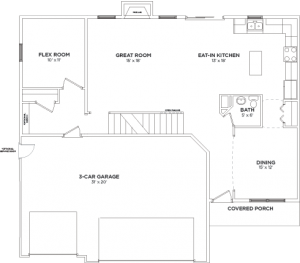 Unlike the original Haven, the Haven 2.0 is home to a spacious flex room, perfect for an office, den, study, or playroom; the options are endless. 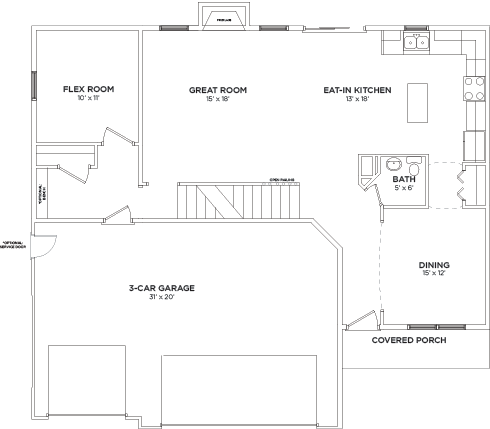 On your way to the second floor, while admiring the open railings, you’ll come to the spacious four bedrooms all located within reasonable distance to the laundry room, making chores easy and efficient. 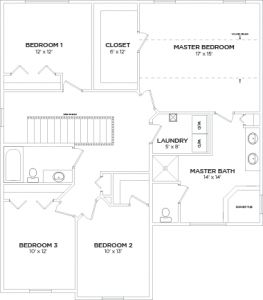 The master suite boasts a beautiful vaulted ceiling and large walk-in closet, giving you all the space you need. The master bath features his and hers basins, a stand-up shower and a separate corner soaker tub. 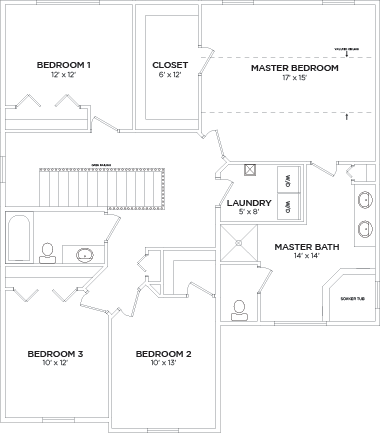 The Haven 2.0, much like the Haven, is a great floor plan for any family with plenty of room to grow.